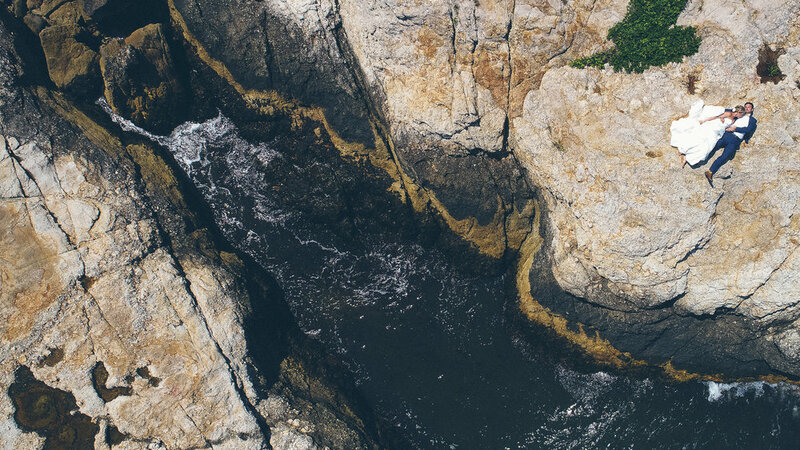 A charming coastal love story. A love story that began like your favorite romance film. Katie and Eric met by a chance encounter at the local Boston bar, Sail Loft, shortly after college - and the rest is history. Their love story is so unique and has flourished to create a colorful bond between both of their families and friends. The unity celebration took place at Katie's family home that is seated beautifully next to the Atlantic Ocean. The generational home was not only a traditional wedding spot for the girls in the family, but a family landmark for such occasions. 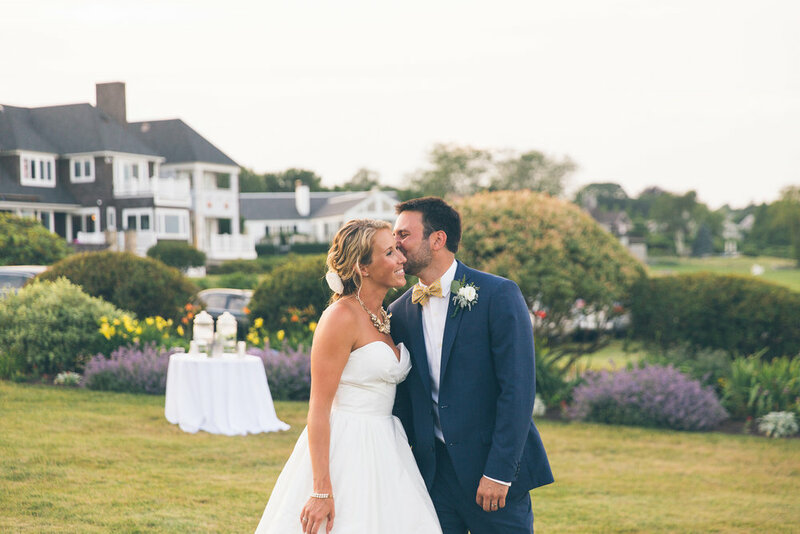 The wedding was classically styled with subtle hints of powder pink, cornflower blue, all while incorporating long lasting family traditions local to Narragansett and classic American style. 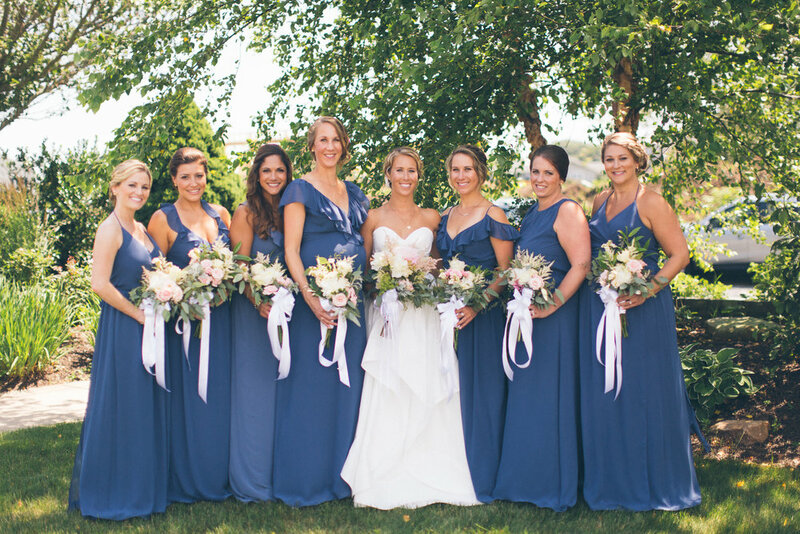 Her aunts - the eminent (Better Home & Garden) local floral designers, built the ceremony floral, centerpieces and surrounding event floral with locally sourced selections to compliment the already lush and contrasting landscape. 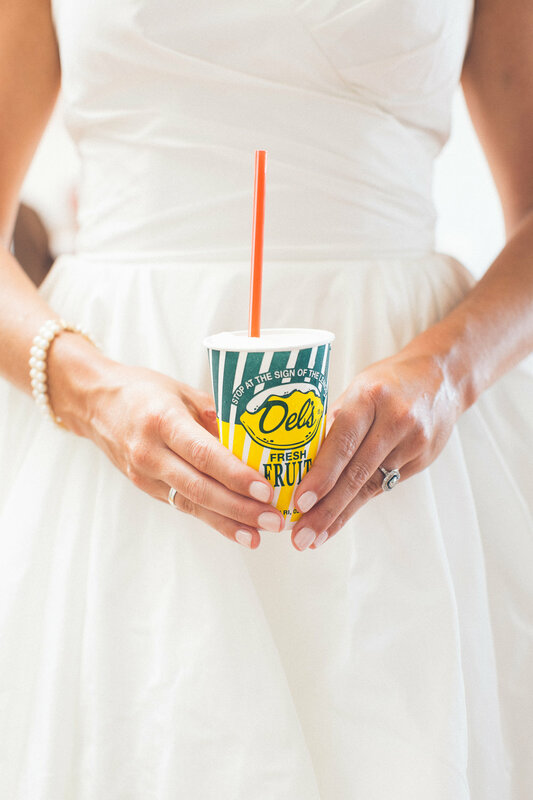 The guests were welcomed with Del's Fresh Lemonade (a local favorite) and adirondack chairs were an option for ceremony seating. 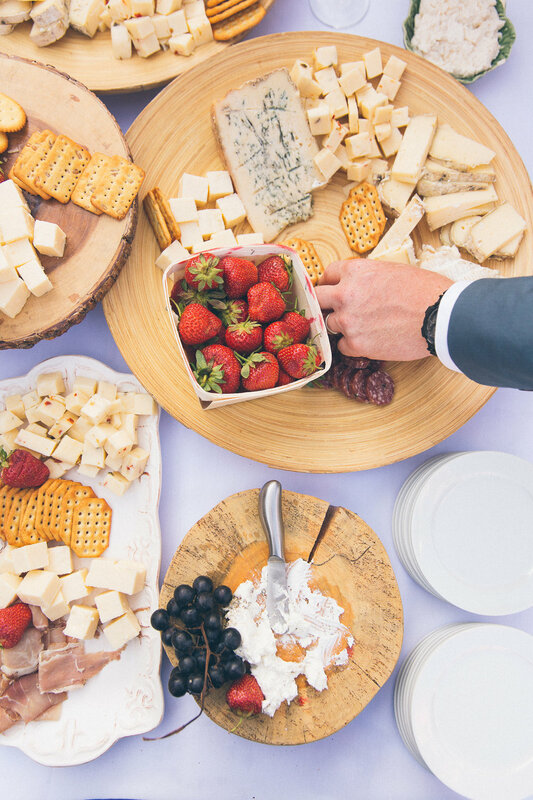 The cool and exuberant celebration featured live music, a fresh oyster bar, corn hole, and lots of BIG love. Katie and Eric's shared their first dance to Neil Young's Harvest Moon. This song couldn't have been more perfect as they shared a moment under the stars and surrounded by loved ones. What a couple - what a celebration!